The 2018 Emmy Award nominations have been revealed, with talent from the LGBTI+ community getting nods across the board. Game of Thrones and The Handmaid’s Tale will be going head to head for Best Drama Series, alongside Westworld, The Americans, Stranger Things, This Is Us and Netflix’s regal series The Crown. Netflix has also landed two nominees in the Best Comedy category with Unbreakable Kimmy Schmidt and GLOW, facing off against Atlanta, Barry, Black-ish, Curb Your Enthusiasm, The Marvelous Mrs. Maisel and Mike Judge’s Silicon Valley. LGBTI+ actors have been named in a number of categories this year. Bi actor Evan Rachel Wood has scored a Lead Actress in a Drama Series nod for her incredible performance as Dolores in HBO’s Westworld, Lily Tomlin has been listed for her titular role in Grace & Frankie, and both Darren Criss and American Crime Story: The Assassination of Gianni Versace have been tapped. Sarah Paulson has again been nominated for American Horror Story, Tituss Burgess for his scene-stealing moments in Unbreakable Kimmy Schmidt, and Kate McKinnon as a Saturday Night Live player. Samira Wiley was also listed for her guest spot on the new season of Handmaid’s Tale, and writer/comedian Wanda Sykes for her appearances on Black-ish. 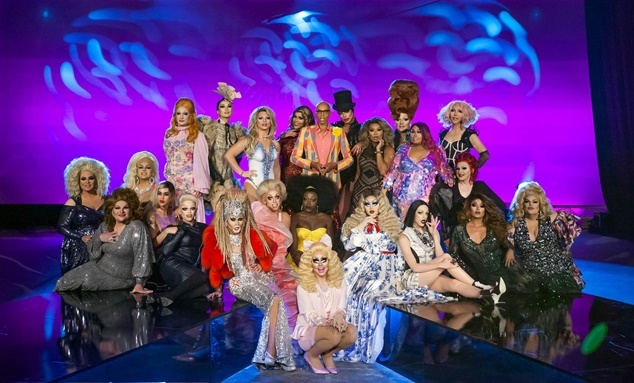 RuPaul’s Drag Race has been nominated once again for both the main show and Untucked, and the boys of the much-loved Queer Eye reboot are celebrating their first nomination. Reality/variety stars Ellen DeGeneres, RuPaul, Tim Gunn and Jane Lynch are all vying for the title of Best Host. Will & Grace also received a nod in the form of Megan Mullally as best Supporting Actress in a Comedy Series. Game Of Thrones are celebrating a massive 22 nominations at this year’s ceremony, followed closely by Saturday Night Live and Westworld on 21 each.